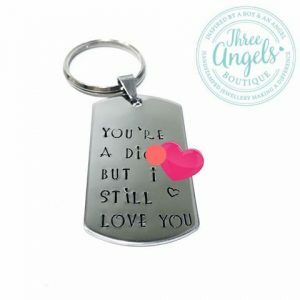 Our engraved personalised Love Story key chain is being released just in time for the Valentines Day just around the corner! 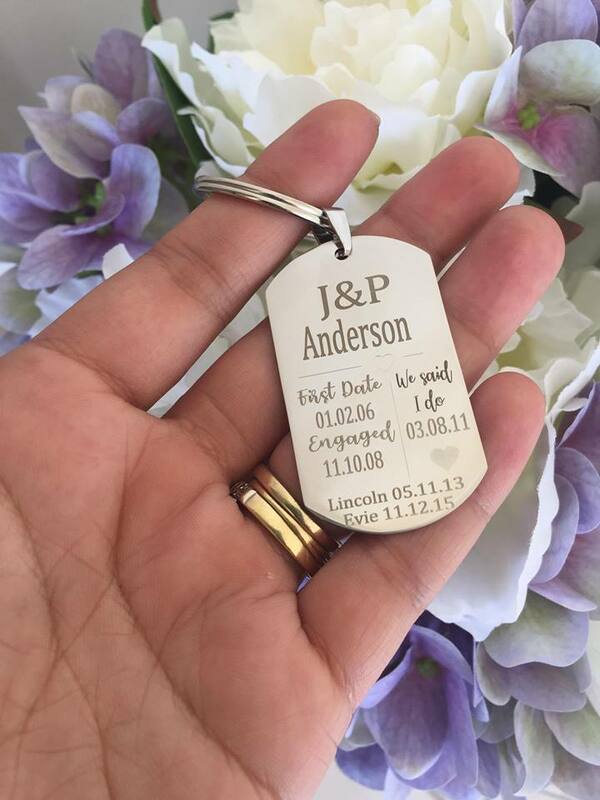 Custom personalised with initials, first date, engaged date, and wedding date; and options for children’s names and birth dates at the bottom. 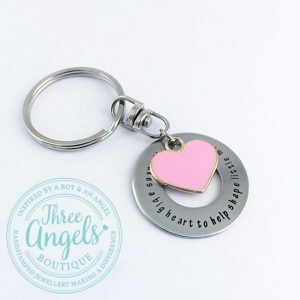 Using stainless steel, your keepsake personalised Love Story key chain will not tarnish over time nor change colour and will be treasured by anyone gifted this sentimental piece. 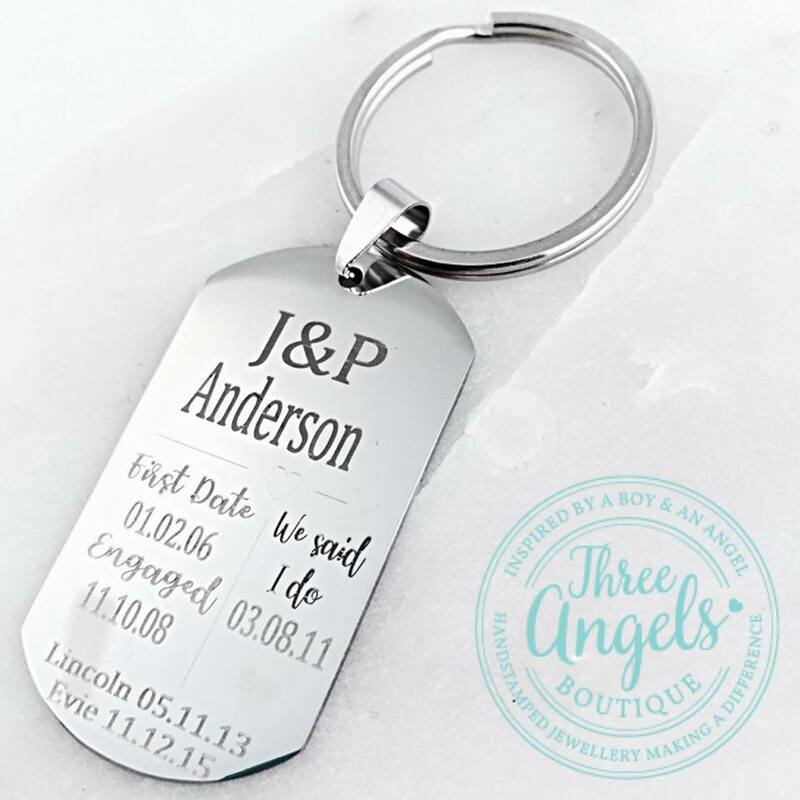 Laser engraved on-site, our turn around can be as little as 1-2 days. 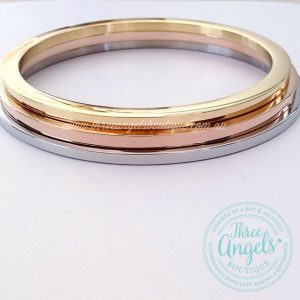 Just provide the initials, dates and names as needed, and let us create your unique piece. Presented in a gift box, and delivered right to your door. 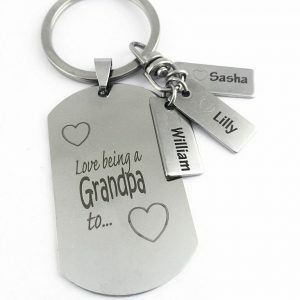 Inscription method – Laser engraved with the words as seen in image. 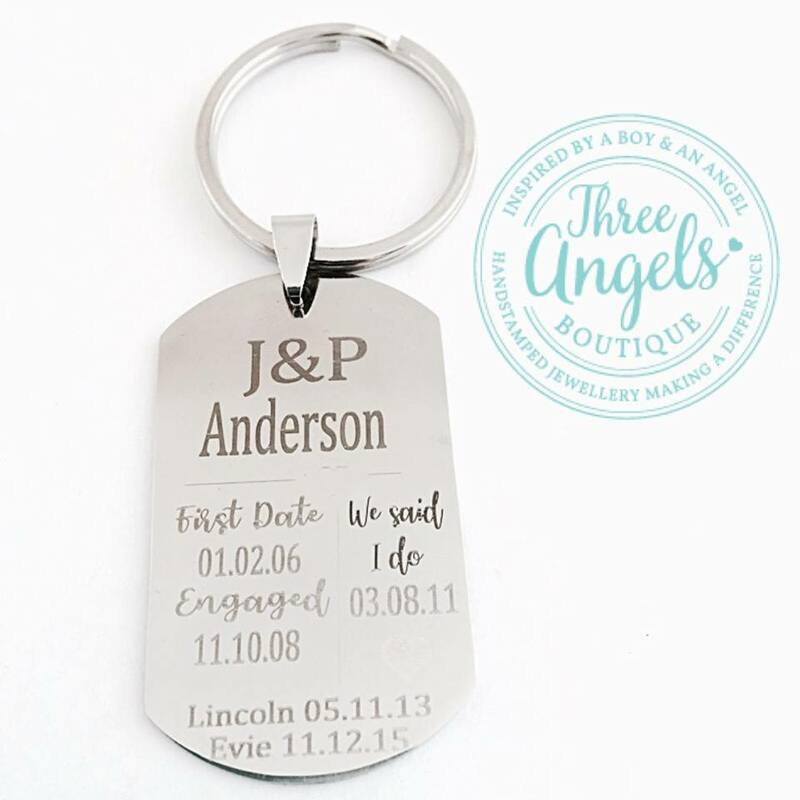 Personalised with birth details provided by you. 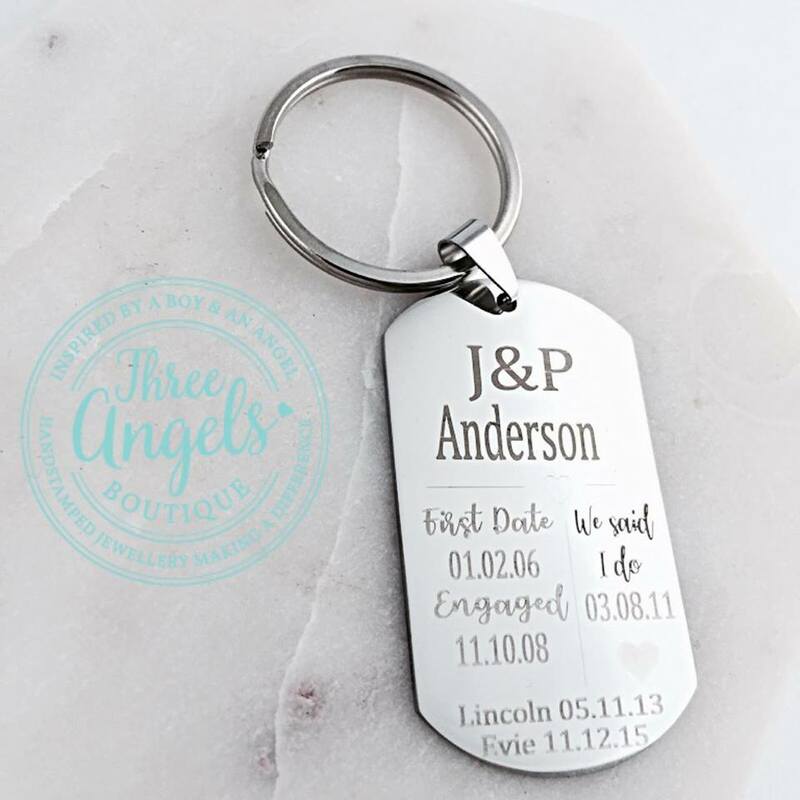 If you require children’s name and birth dates at bottom, please leave those details. 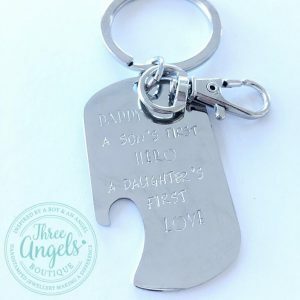 IF there is more than 2 children, these will ALL be placed on the back of the key chain to have it fit well. Just perfect. Absolutely brilliant customer service. Went well beyond anything anyone would hope for.